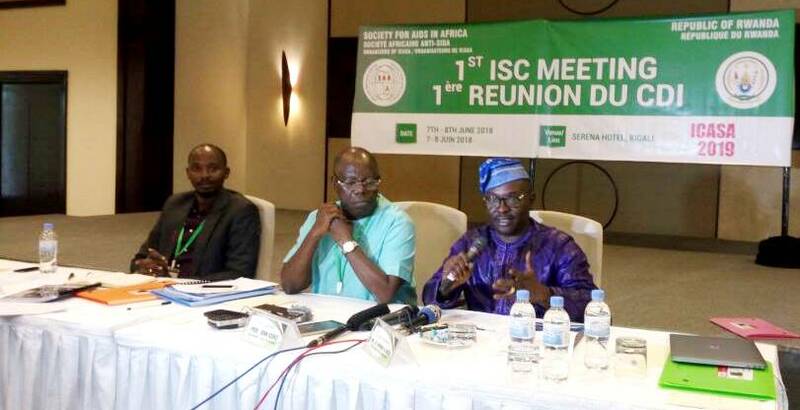 The International Steering Committee for the International Conference on AIDS and Sexually Transmitted lnfections in Africa (ICASA) 2019 has met in Kigali to prepare for the forthcoming conference ahead of time. ICASA 2019, the biggest African conference on AIDS will convene in Rwanda in December 2019 and it’s expected to bring together 10000 participants that will come from and out of Africa. The major African conference on AIDS will be held for the 20th time bringing together researchers on AIDS and STIs who will mostly share the new research done on AIDS all with the aim to reflect on the 90-90-90 goal and the goal to end AIDS by 2030. Rwanda was chosen to host ICASA 2019 after it met the requirements that were imposed to countries that applied to host the conference. The credentials to host the conference were: Strong government support, financial and political will to host the conference, providing scholarship for at least 300 local participants and security among other requirements. The Society for AIDS in Africa (SAA) team has met President Paul Kagame and the Health Minister before, in order to find out more about Rwanda’s capacity to host ICASA and the outcomes were good. Dr. Sabin Nsanzimana, the Head of HIV Division in the Rwanda Biomedical Centre (RBC) told journalists, at Kigali Serena Hotel, where the International steering committee was held from June 7-8, that Rwanda will benefit much from ICASA 2019 apart from sharing its experience in fighting HIV/AIDS and keeping its prevalence at a low level. 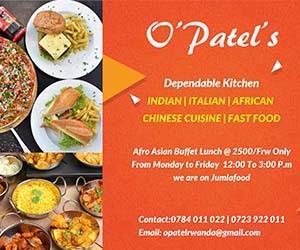 He said the conference will benefit Rwanda in hospitality and service sector as the conference will bring in so many visitors who will have to spend at least $1000 while in Rwanda. “You can understand how much this will yield for our services and hospitality businesses,” he said. Dr. Nsanzimana said that Rwanda was chosen to host the 20th edition of ICASA, which has been hosted by 14 countries since 1990 mainly considering what it achieved in the steadfast struggle against HIV. According to Nsanzimana, HIV prevalence has been maintained at 3% for the past decade while new HIV infections were reduced by 50% in the last ten years ago. Dr. Nsanzimana added that Rwanda reduced AIDS-caused deaths by 80% while the life expectancy for people living with HIV in Rwanda has increased by 20 years from 10 years ago. In Rwanda, new prevention inventions are inaugurated usually with the most recent being the oral self-testing method, the treal all HIV+ where all people living with HIV are immediately enrolled on Antiretroviral Therapy (ART). Other prevention measures include scaling up Voluntary Counselling and Testing (VCT) services and placing mobile condom kiosks in high risk zones. Meanwhile 98% of health centres in Rwanda offer Antiretrovital Therapy drugs for the people living with HIV.